Versa Integrity Group is well versed in many different applications of Automated Ultrasonic Testing (AUT). Automated Ultrasonic Testing (AUT) is any form of ultrasonic testing (Phased Array Ultrasonic Testing, Conventional Shear Wave Ultrasonic Testing, Corrosion Mapping, etc.) used to determine wall loss, crack detection, laminations, and other discontinuities that may exist in base materials or welds. Corrosion Mapping ultrasonic testing maps the interior surface of pressure vessels, piping, heat exchangers, and more. It is often used for remaining life determinations as prescribed by the facility’s Mechanical Integrity program. 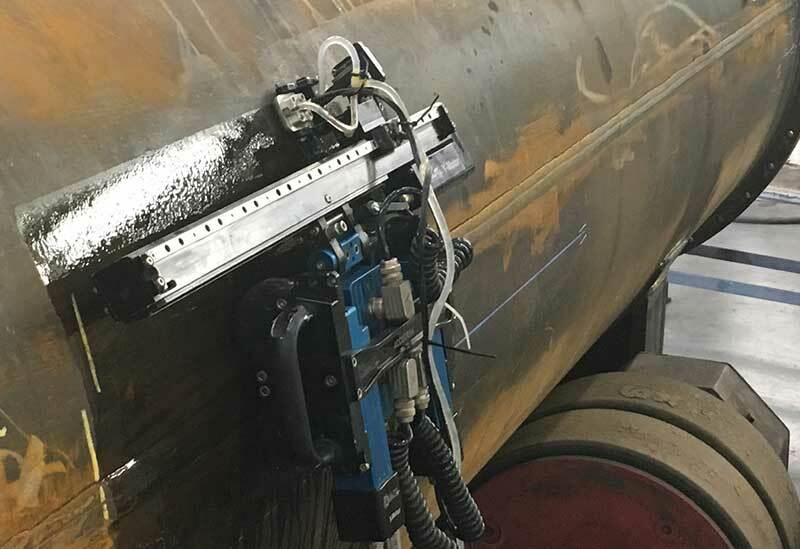 Encoded Weld Quality/Monitoring (ultrasonic testing) is best when the desire is to inspect new or existing welds for defects (critical defect sizing), crack monitoring, and more. We can fully meet the requirements laid out in ASME code case 2235-9. This case allows ultrasonic testing in lieu of radiography when dealing with certain sections of ASME fabrication. Automated Ultrasonic Testing (AUT) is a tried and true method for all of the above circumstances and many more, but, what makes us different? For one, we are leader and pioneer in the ultrasonic testing field. For two, our rope access division are also ASNT certified and can reduce the potential cost of infrastructure for hard-to-reach areas. Finally, we believe in continual training for all our NDT technicians which ensures you will be receiving some of the best ultrasonic testing technicians in the discipline. Our team will get the job done correctly the first time.